The 1991 Milwaukee Brewers spring training camp was memorable for a rash of injuries to the team’s top three starting pitchers. Ace Teddy Higuera didn’t get far into camp when it was discovered he had a rotator cuff tear. What was first described as a “slight” or “minor” tear turned into a number of surgeries and extensive rehab for Higuera. The No. 2 starter, Ron Robinson, was suffering from bone chips in his elbow. The Brewers didn’t want to push him to start on Opening Day, yet he did pitch on the third game of the season, and suffered a serious elbow injury. Like Higuera, he was lost for the season and would never be the same pitcher after attempting a comeback the following season. Chris Bosio was third in the rotation, but he wasn’t doing much better than Robinson or Higuera. Bosio had a knee injury and would not be ready to go on the opener. The Brewers were down to either Jamie Navarro or Mark Knudson. Both Navarro and Knudson had been bouncing between starting and relieving in their careers to that point, but were finally penciled in as starters for the 1991 season. The 1991 Texas Rangers featured Nolan Ryan at the top of their rotation. Ryan had already won his 300th career game the previous July against the Brewers. It was a foregone conclusion that he would be in the baseball Hall of Fame. When it settled in that Knudson would square off against Ryan on Opening Day, it made the assignment even more extraordinary. The Brewers were not expected to be a part of the American league East pennant chase in 1991. While they still had Paul Molitor and Robin Yount, plus sluggers Dante Bichette and Greg Vaughn, the team did have some question marks, particularly in the pitching department. They also had question marks at third base with young Gary Sheffield, who was often injured and critical of the team and management. It didn’t help matters for the Brewers that Toronto was already building a powerhouse franchise that would lead to World Series wins in 1992-93. But on Opening Day all that didn’t matter to Mark Knudson and the Brew Crew as they knocked off Nolan Ryan by a score of 5-4. Ryan lasted longer than Knudson – 7 innings to 5.1, yet Knudson picked up the victory and Ryan the loss. 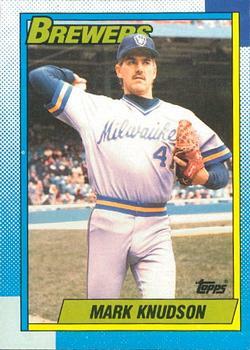 Knudson also beat two other members of the 4000 strikeout club in his career – Randy Johnson and Roger Clemens. Texas managed a couple home runs off Knudson and Robin Yount responded with hitting one of his own off Ryan in the fifth inning. The Brewers had all 5 of their runs on the board after Yount’s homer and hung on for the win. It also wasn’t a smooth year for Knudson in terms of technique, although a lot of that stemmed from poor health. Like the other Brewers starters, he also nursed injuries. His issues were viral, as he got sick in April with a high fever and lost about 10 pounds. He wound up on the disabled list in early May with rotator cuff weakness. As a result, Knudson lost his spot in the rotation and came back to a bullpen assignment. It was a correct assumption. The Brewers decided to stick with a couple of 27 year old rookies with high ERA’s – James Austin and Jim Hunter. Treblehorn said he wanted to see what each could do in the big leagues as they had pitched well in the minors. 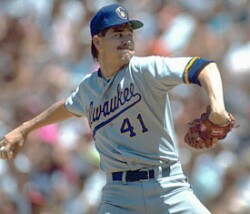 Knudson would not be recalled when the rosters expanded in September, even though the Brew Crew weren’t in the pennant race. They would finish with an 83-79 record, good enough for fourth place, 8 games behind AL East champion Toronto. Knudson was again designated for assignment after the season. This time he refused and was released. 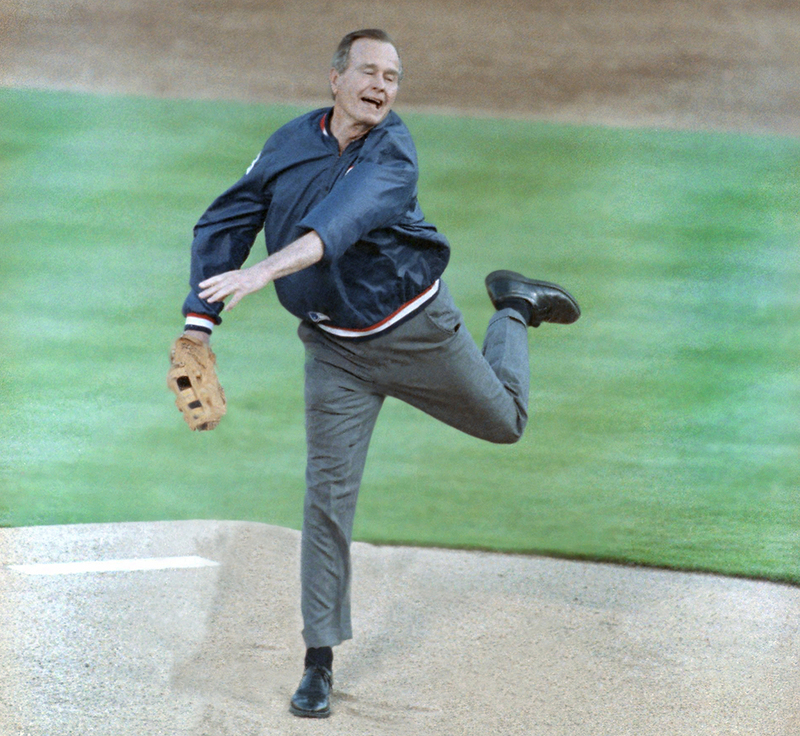 The San Diego Padres then signed him, but he didn’t get a chance to pitch for them in 1992, and remained in the minors. Next up was a four game stint with the Colorado Rockies. He pitched in just four games to a 22.24 ERA and then called it a career. Knudson had come full circle as he was born in Denver. He’s called his time with the Rockies as a career highlight – especially because he was the first local player to wear the Rockies uniform. For his career, Knudson had a 24-29 record with a 4.72 ERA over 482 innings pitched. He became the father of triplets right after hanging up his spikes and has four children total with his wife Allison. Since retiring, Knudson has remained in Colorado and has covered local sports on radio and television. He has also contributed to Mile High Sports Magazine.